Reverse type 2 diabetes by just fueling yourself correctly. 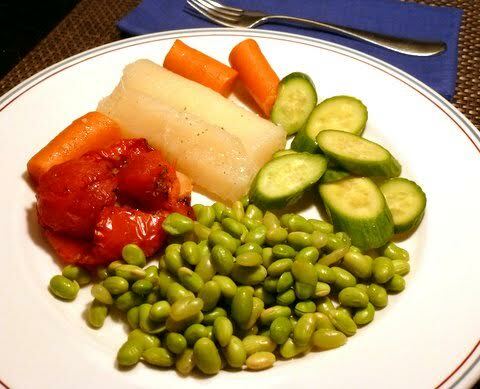 Does the idea of eating a plant based diet to reverse type 2 diabetes seem totally unlikely to you? Do you think you are a victim of your inherited genes rather than your past or current lifestyle? Eighty percent of type 2 individuals completely eliminate all medications and return to normal blood A1c levels when attacking this malady with a plant based diet and lifestyle. Genes are not a significant factor...lifestyle is! The other twenty percent greatly reduce their need for insulin or other medications. It does take effort to reverse type 2 diabetes by making a change in your eating habits, but the rewards will be excellent health for most of you. It will rid you of dangerous drugs, additional insulin use and a shorter life span. Here is something for you to think about...if this is true, why hasn't your doctor explained this as a viable option to end this terrible condition that leads to premature death. The doctors and health institutes that we follow in our health classes agree that it usually takes 5 - 7 days to reverse type 2 diabetes. Charlotte Gerson, of the Gerson Institute claims that extreme cases may take 2 - 3 weeks on the Gerson diet. Since the effects of a plant based diet happen so quickly, the doctors that know the power of plants have you stop all medications the day that you begin the diet change. You may go into a state of hypoglycemia if you do not eliminate the drugs that artificially control your diabetes. You will be amazed at how fast your blood sugar drops when the fat in the body has returned to a normal state. If you decide to do this, make sure that you find a doctor that understands this cure and will work with you while eliminating or reducing medications. The excess fat on the body OR in the muscle tissue is the culprit. You can be overweight or skinny and still develop type 2 diabetes. Excess fat in the cells or muscle tissue will cause the receptors in the cell wall to close. The outer layer of receptors shuts down the entrance of fat into the cells. Insulin, the key that normally opens the door for glucose to enter the cell is now denied access. As a result, there is excess glucose in the bloodstream that cannot enter the cells and provide fuel for normal cell health and energy production. The excess glucose signals the onset of diabetes. In type 2 diabetes, the pancreas still produces insulin, but it is limited in assisting in normal cell energy production because of the fat condition. There are various drug modalities that help regulate some of the conditions of diabetes but they do not offer any cure. If you are in an emergency situation, drugs that modulate glucose and insulin are absolutely necessary. After returning to a state of normalcy with drugs, you can start your withdrawal from the medical solutions for controlling your symptoms. Hopefully, you will be able to get off all medications in your effort to reverse type 2 diabetes. 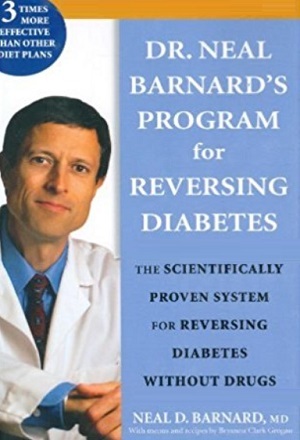 We recommend Dr. Neal Barnard's Program for Reversing Diabetes. To Reverse Type 2 Diabetes is Real! By fueling yourself correctly you can reverse the condition known as type 2 diabetes. This is not just managing your "disease"...it is getting rid of your "condition" altogether for most individuals and as a bonus, you will eliminate many other medical problems that you may have. Even type 1 diabetics, where the pancreas does not manufacture insulin, can usually see a reduction in insulin needs. You need to remember that any prescription drug, even aspirin, is poisonous to your body and may cause extreme health issues in the long run. Your goal is to get off all medications, when possible, with the help of a doctor that understands the power of food and diet. If your goal is to learn how to reduce insulin, and even eliminate it completely, all of the diets that we review in "healthy diet plans" would qualify to reverse type 2 diabetes. Find the one that best fits you and get started. Read the author's books and review their websites. Contact these pioneers to help steer you through the beginnings of your journey. The Physicians Committee for Responsible Medicine (PCRM) has a wonderful book and DVD on diabetes. PCRM is a non profit group of about 8,000 doctors that promote a healthy plant based diet and lifestyle. Dr. Neal Barnard is the president of this group. There are many other great lifestyle plans available, but we have limited our selection to the ones that seem to fit in with our lives. Excellent health is a choice...it is not the luck of the draw. When you believe and empower yourself to reverse type 2 diabetes with healthy eating - good things will happen. The power is within you, and your miraculous self healing body will respond to the proper fuel, nutrition, and a positive mental and spiritual attitude. It's never too late to start. 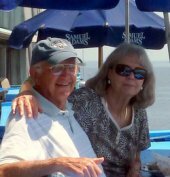 Barbara and I hope that the information presented on this website will encourage you to dig deeper into the benefits of a plant based whole food diet and lifestyle and be able to live life to the fullest for all of your days. Benefits of Beet Nutrition - Lower your blood pressure, increase the blood flow to your brain, and improve your exercise strength and durability. Sources of Dietary Fiber - Learn about dietary fiber and how important it is to a healthy diet.